A smart, witty, and completely enjoyable book about what happens when one choice snowballs into a much larger chain reaction. The author constructs a story that is honest as well as funny all the while delivering characters that are just fabulous. This debut novel is truly a great read. I cannot wait to see what is next for Camille Perri. When a technical error with Robert’s travel-and-expenses report presents Tina with the opportunity to pay off the entire balance of her student loan debt with what would essentially be pocket change for her boss, she struggles with the decision: She’s always played by the rules. But it’s such a relatively small amount of money for the Titan Corporation—and for her it would be a life-changer . 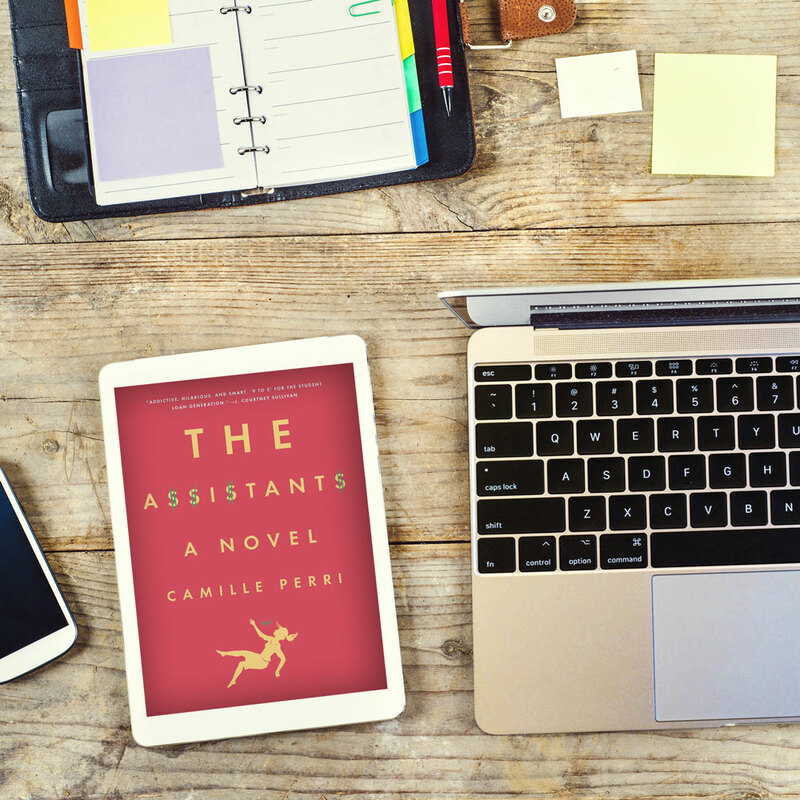 . .
Camille Perri is the author of The Assistants. She has worked as a books editor for Cosmopolitan and Esquire. She has also been a ghostwriter of young-adult novels and a reference librarian. She holds a bachelor of arts degree from New York University and a master of library science degree from Queens College. Perri wrote the first draft of The Assistants while working as the assistant to the editor-in-chief of Esquire.